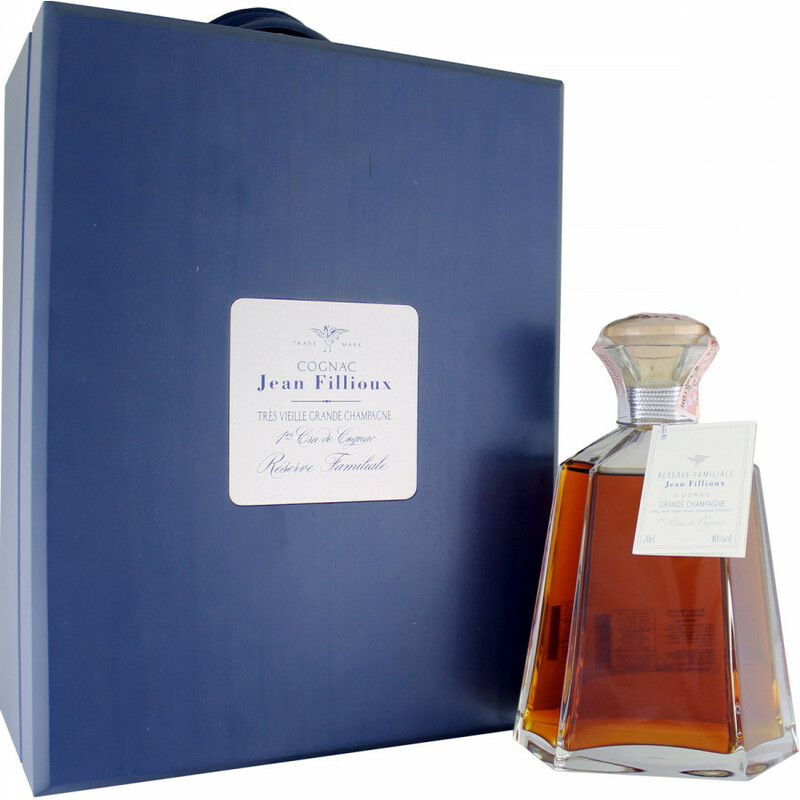 Jean Fillioux Réserve Familiale Sèvre is another Family Reserve cognac from Cognac Fillioux. 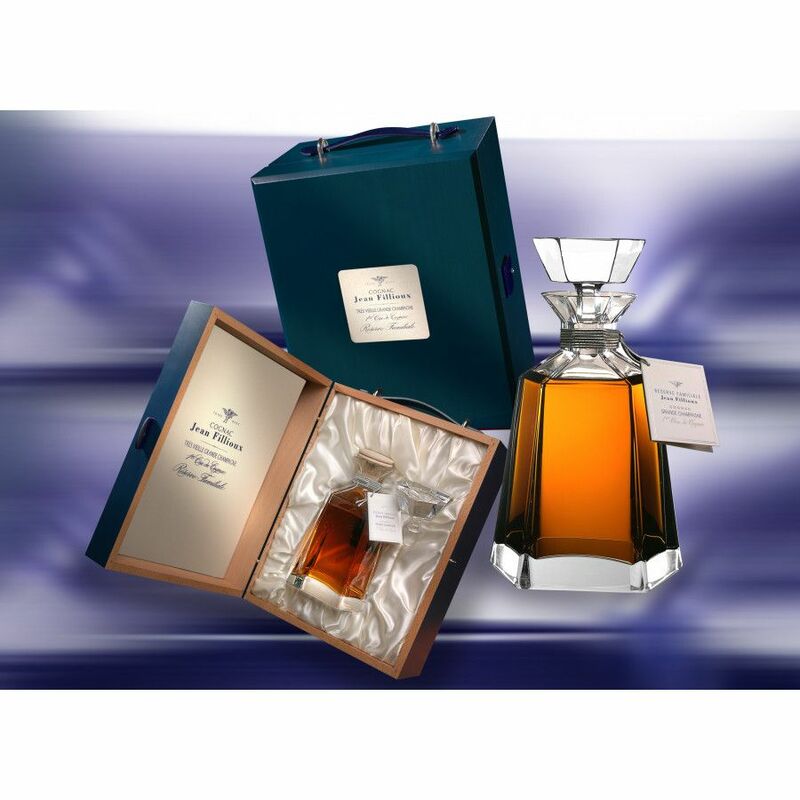 The blend comes in a Sevres Crystal decanter and presentation box, individually numbered. So fine, so elegant so complex, so rich, this wonderful cognac is quite lively in spite of its very old ageing - creamy and appetizing, offering some notes of dried and jammy fruit, with the finest rancio aromas, leather, cigar box fragrances, toasted chocolate, liquorice and toffee. Very long finish with notes of honeyed and peppery spices coming through. It’s a journey through the infinite world of the aromas. A great cognac to meditate. Exceptional. The colour is deep amber with a superb flavor of prune heralding its prestigious origins. Rich on the palate, complex in flavour and graceful in taste, it has a typical flavor of noble rancio cognacs, with its hints of old rum, spices, vanilla, and leather. Years and years of maturity have allowed this cognac to combine all these qualities in a remarkable mix. Olivier Bompass Gault Millau Review. To go with a Hoyo des Dieux Cigar, we chose a Jean Fillioux, Reserve Familiale Cognac. A pure eau-de-vie, discreet to begin with and revealing its full character afterwards, with the finest rancio aroma, richly flavoured in fruitiness and spice. Two parallel tastes giving a balanced, full-bodied, unctuous sensation, with a distinctive wine-shoot, peppery, and jammy prune flavour. A rich blend of elegance and strength of character. Covering fifty acres of land in the heart of Grande Champagne, Jean Fillioux Cognac is an independent, family run estate that has been producing eaux-de-vie of high quality through four generations. Proud of their traditional methods, the current owner, Pascal J. Fillioux, ensures that not one bottle leaves the estate without being controlled by him from start to finish. Tasting Notes: A very lively cognac, with some good fruity notes, nuts. The producer review says "Long in the mouth, exceptional. Strong rancio charentais."